Well-maintained tyres help your Toyota’s performance and fuel efficiency, along with meeting road safety legal requirements. At Toyota we offer our customers free puncture repair along with expert advice on fitting a wide range of tyres. You don’t even need to book an appointment. Convenience - You don’t even need to book an appointment. The legal minimum tyre depth for cars is 1.6mm in a continuous band throughout the central three-quarters of the tread width, throughout the whole of the tyre circumference. Tyres must be suitably inflated for the purpose in which your car is being used (heavy loads, long distances, road conditions). 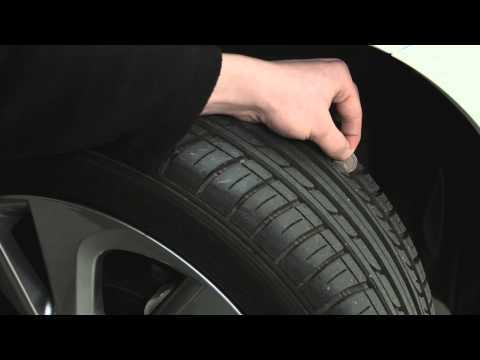 Tyres must not have a cut, in excess of 25mm or 10% of the tyre section width, whichever is greater, which is deep enough to reach the tyre’s internal structure. Tyres must not have a lump, bulge or tear caused by separation or partial failure of its structure. Tyres must not have any ply or cord exposed.